Joni Eareckson Tada's moving account of Christ's crucifixion brings to mind the realities of our Savior's suffering as he bore the sins of humanity. One Easter as I read through the story of the crucifixion, I spent several hours deliberating over the words of Christ when he cried in anguish from the cross, "My God, my God, why have you forsaken me?" 4-Panel Easter tract. Uses ESV Bible Translation. Pack of 25. 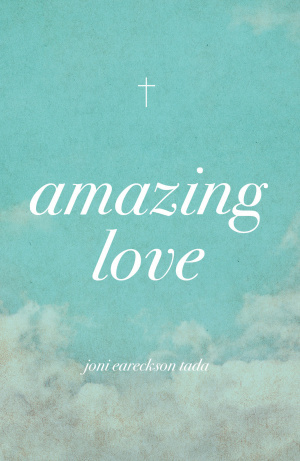 Amazing Love (Pack Of 25) by Joni Eareckson Tada was published by Crossway in January 2016 and is our 26287th best seller. The ISBN for Amazing Love (Pack Of 25) is 9781682162934. Be the first to review Amazing Love (Pack Of 25)! Got a question? No problem! Just click here to ask us about Amazing Love (Pack Of 25).